Relax in the shade of the porch, feed the ducks, exchange vows in the live oak grove, take some time to just sit back and relax. 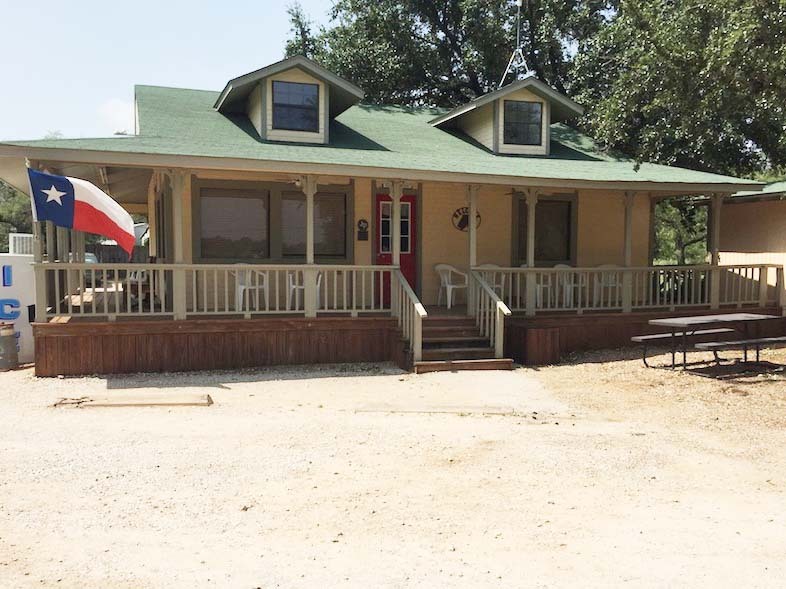 Located at 201 Rock Creek Loop, our cabins, rv and tent camping sites overlook beautiful Possum Kingdom Lake and are situated among shady live oak trees. While staying with us you’re only minutes away from The Cliffs, Championship Golf Course, and you are only 20 minutes away from Graham, Texas which offers a large downtown square for your shopping enjoyment. Possum Kingdom Lake offers some of the best fishing. We hope you’ll take some time to explore and get to know us. Rock Creek Camp, a place for family, friends & fun.